Lists, we all have them; shopping lists, to-do lists, bucket lists. Stuff you “need” to do/buy/build before a certain time. When you then, in your waking life, don’t get the chance to tick off some of your most desired points on your list, if you’re really lucky, it sometimes happens that some of your friends will do it for you, in your honour and in your memory. Craig Smith is such a friend. We know Craig as one of our like minded Down Under members who has made VERY good use of what Pops Yoshimura and Wes Cooley started in the old AMA championship, by using his GS as it should be. He has also always made an effort to let us in on all the fun. 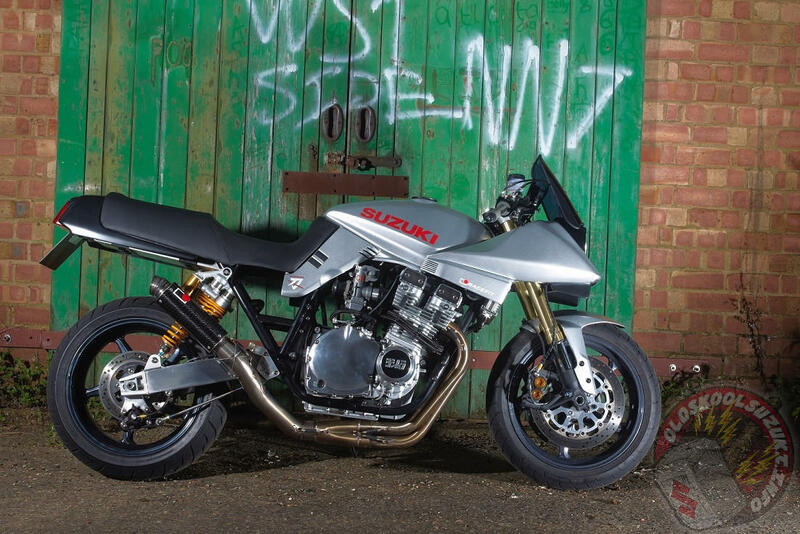 This Katana project was started off with previously accumulated parts and a general idea of what the finished product should look like. 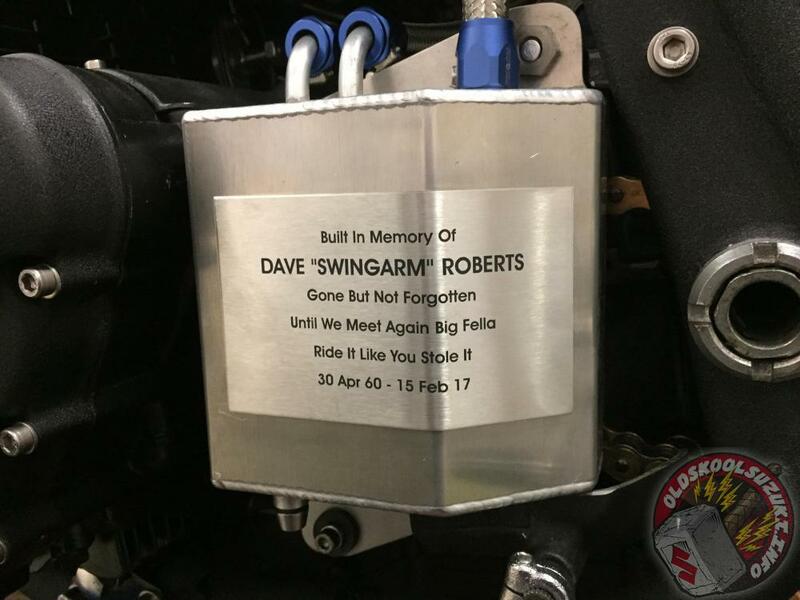 Craig and a few friends went on to finish the bike that their late friend, Alan Baker, had dreamed off and had actually started building. This project has had many things in common with the OSS Knarf build. Both were documented on the old site. Only when we got OSS back up and running did we properly learn how the project turned out and how the story had concluded. (imho) this Katana on its own, even when you don’t know the story behind it, is one of the best Kats out there. Revealed to friends and the world in May 2016, it’s more than what anyone could wish for as a lasting monument and a promise that they hadn’t been forgotten. I realise this project has been finished for quite a while and Smithy hasn’t been on OSS much after it but that’s beside the point. 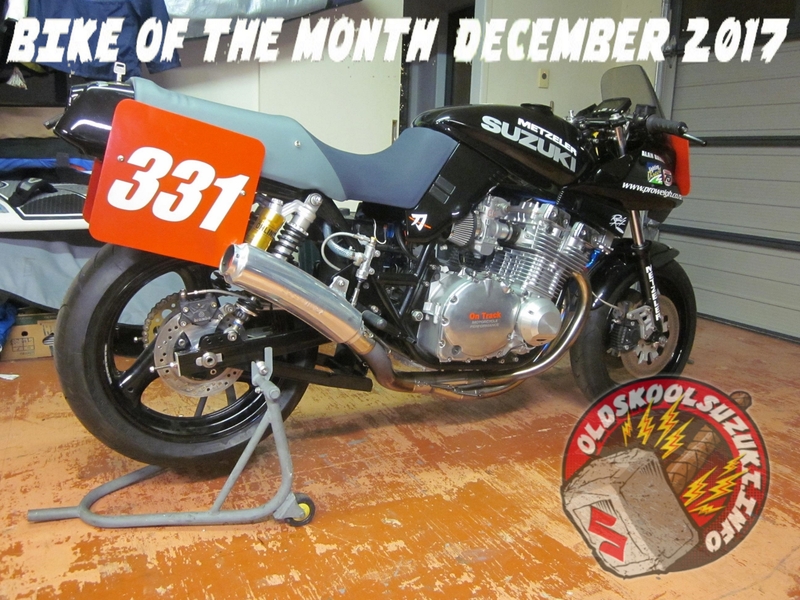 I had this bike on my BOTM list for a long time and here it is; congratulations Craig, Alan’s Katana is Bike of the Month December 2017. Written by Mr.7/11, inspired on earlier work done by Tony Foale, Arnout and Tinus. 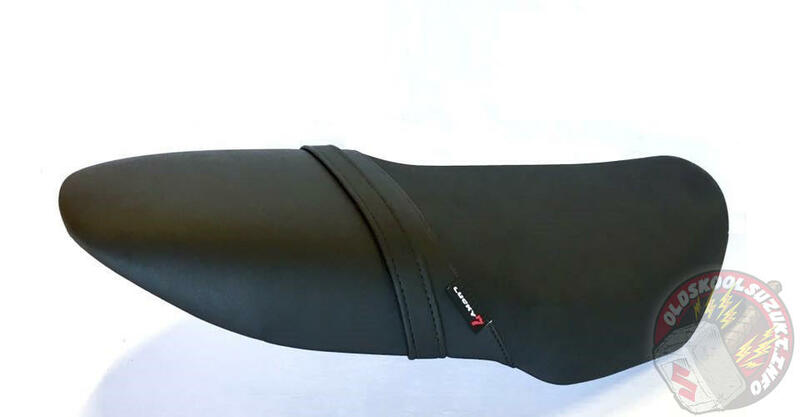 It may be well known to anybody that creating a stiff frame has to do with connecting the headstock to the swingarm pivot as direct as possible, which is what modern “Deltabox” frame designs do. So the best possible solution is to weld f*cking huge bars from the headstock directly to the swingarm pivots. There is just one problem with that… there’s a huge mother of an air-cooled engine in between that hasn’t followed any diet …ever. To keep the weight down we remove some before adding any. And besides she’s so beautifully shaped that we wouldn’t want anything hiding those luscious curves from full view now would we? So we’ll have to resort to beefing up the frame we have as well as possible so the front wheel will keep in line with the rear during heavy braking/acceleration as well as big bumps in the road. 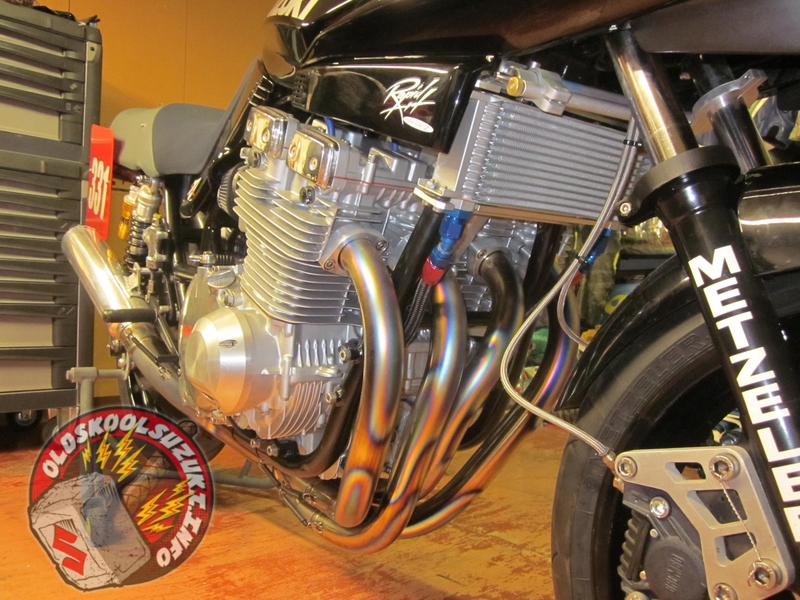 The GSX frame is of the “cradle” type which means the main frame tubes are routed above and below the engine. 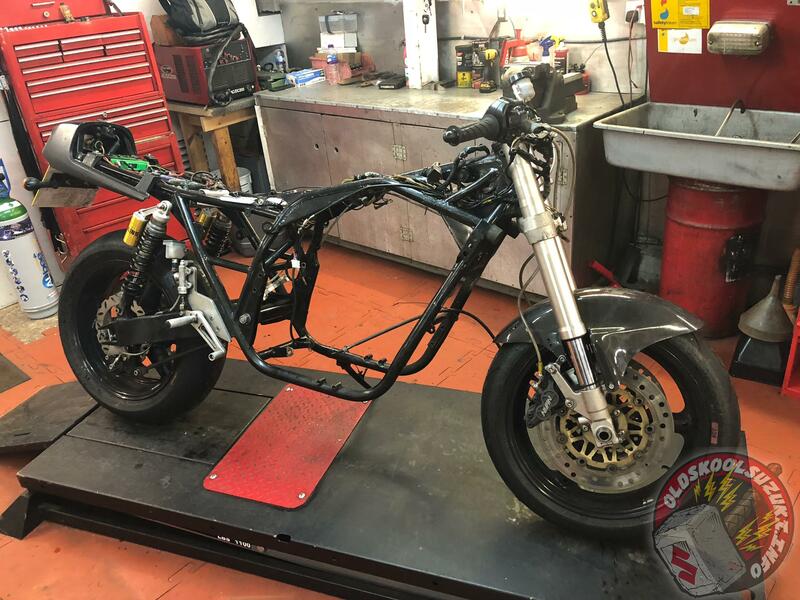 We haven’t got many options for reinforcing the lower cradle as there are exhaust pipes, oil cooler lines and the oil sump between them and we don’t want to create problems while performing regular maintenance. So we leave it alone with it’s primary task to keep the engine in place concentrate on the part of the frame that runs above the engine. The weak point of the frame is the green section between the headstock (yellow) and the swingarm pivot area (blue). If you look at early GSX-R frame designs you see that on race bikes they have allways tried to beef up that area with additional plates. 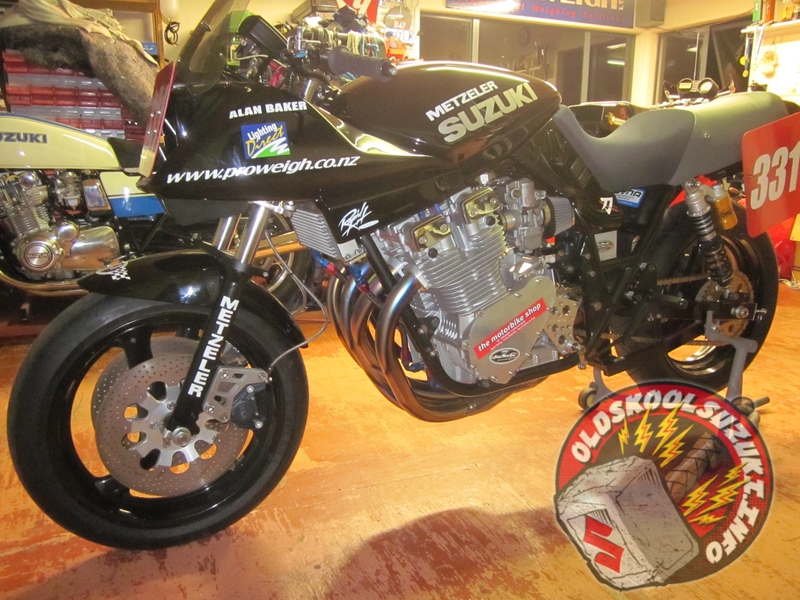 There’s also a rumour this is what Yoshimura used to do with their GSX superbikes. 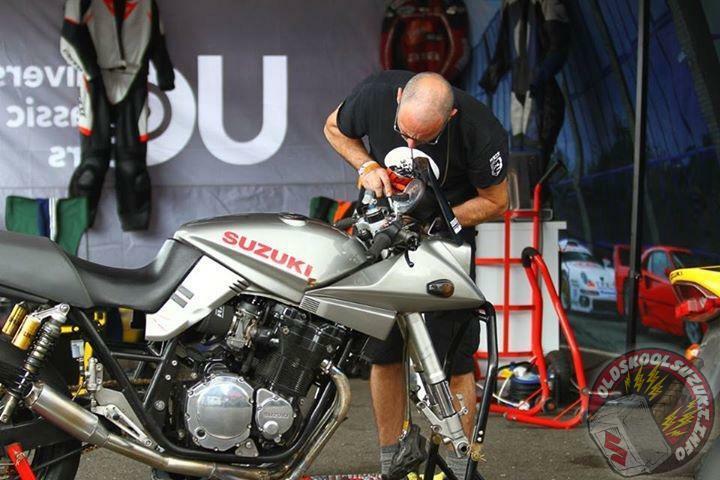 Suzuki have allready paid lots of attention into making the headstock as stiff as possible so the effect of additional bracing here will be minimal. 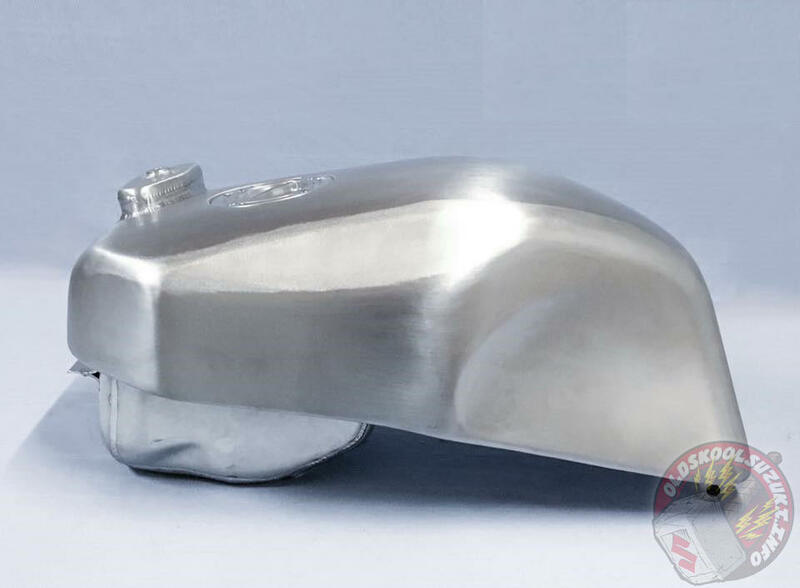 If you intend too keep the standard airbox and the battery in it’s original place then options for bracing around the swingarm pivot will be minimal too. So if you would like ot improve the stiffness of your old dinosaur I’d make modification C. first, and consider dumping the airbox in favor of separate K&N filters to be able to add D. and E. When you’re at it you might as well go along and add braces A. and B. but I don’t consider them to be essential. Be warned that reinforcement C. can hit the inside of the tank if you make it too big and will also make it hard to find enough space for the air filters! You should make all reinforcements from cardboard first anyway to check that they don’t interfere with anything. A. these tubes support the headstock against torsional movement. The plates B. support the frame tubes to prevent them from bending due to the load created by tubes A. The cross-bars D. stiffen the area above the swingarm pivots. The tube connecting both sided is placed at the same height as the engine mounts to keep the engine in place under acceleration. If we replace the cross-bars with a pyramid D1. we add even more stiffness to that area and prevent the swingarm pivots from moving back and forth in addition to up and down. It may look a bit awkward and I question if it adds anything as you must not underestimate the strength and function of the rear subframe. 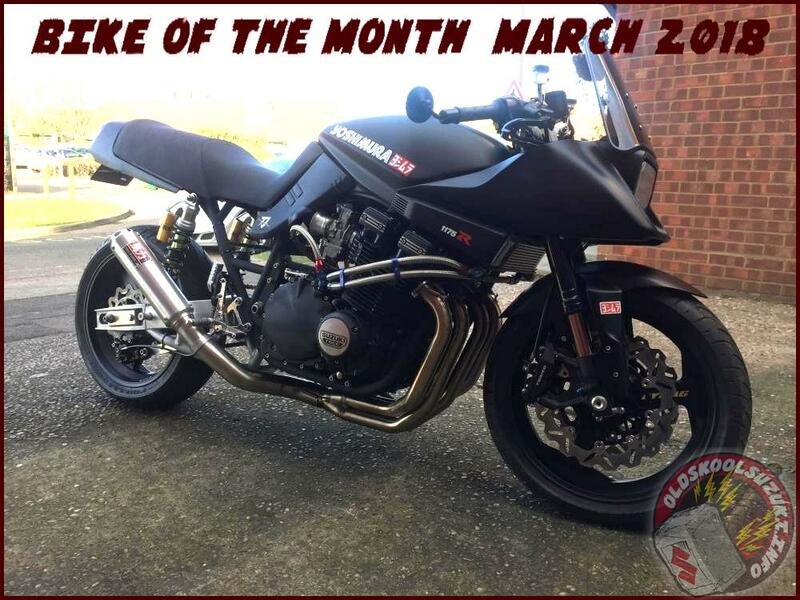 This might be why Yoshimura adds gussets to the subframe on the Katana 1135R, but they have also changed position of the shock mounts considerably. 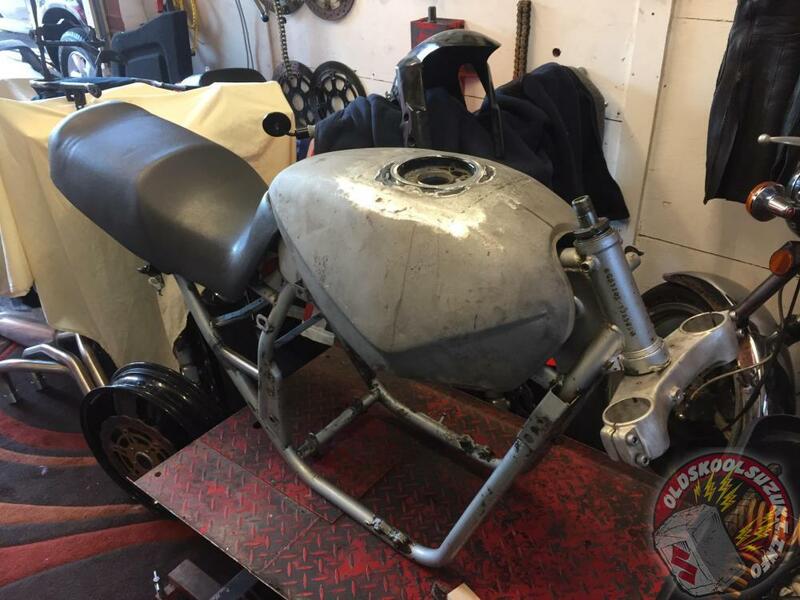 They probably did this because they use a very short swingarm to decrease the wheelbase and so improve steering into corners and if they kept the original mounting point the shock would be too upright making them too hard. The connecting rectangular tubes E. help to distribute loads from the swingarm pivots to the rear of the frame, as well as providing a mounting point for the rear brake amongst other things. F. There’s very little room to triangulate the space in front of the cylinders because of the exhaust pipes but it is possible. You may need to dent the tubes a little to make them clear the exhaust pipes but this is better than making the V smaller. Tightening the two center exhaust clamps will prove difficult too. 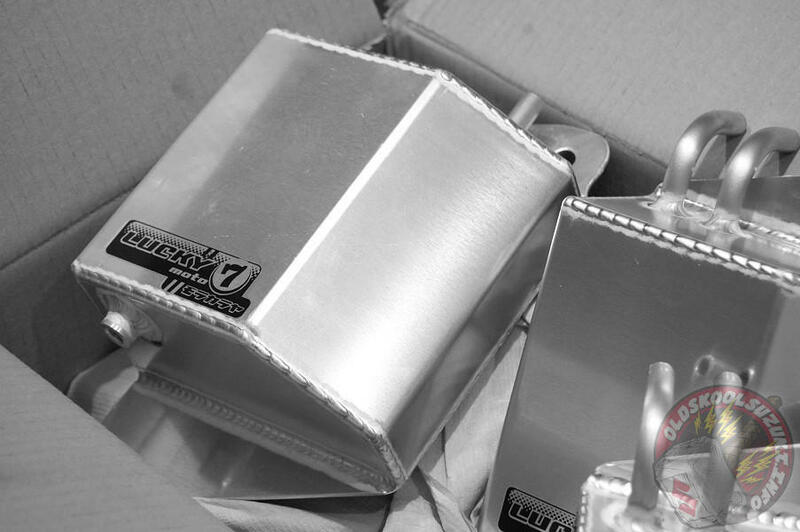 Now that the headstock and swingarm pivot areas are beefed up the connecting tubes are supported by plates C.
Tubes only need to be around 16mm in diameter with a 1mm wall thickness. Box sections need to have 1mm wall thickness and single gussets 3mm. 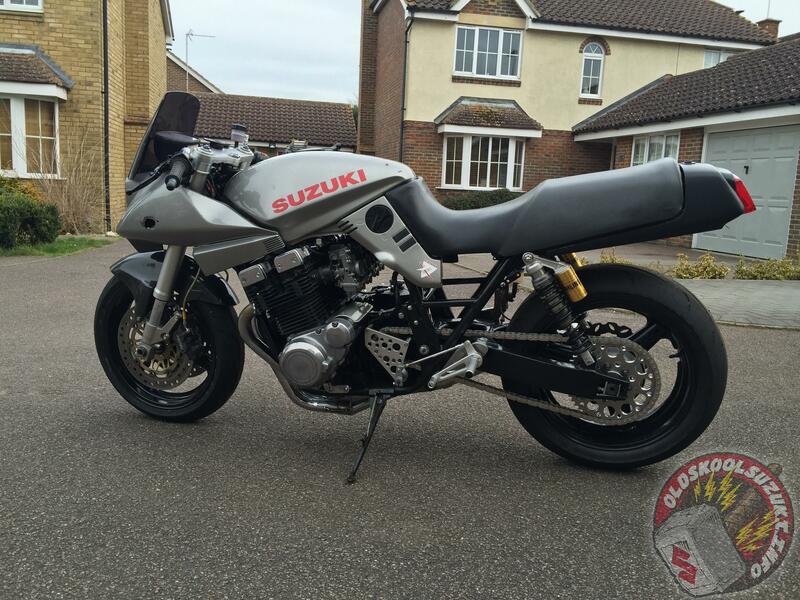 Below are images of a braced GSX1100S Katana frame. The use of rectangular beams in the subframe means it’s easier to bolt stuff onto it like electronics, brake pumps, nitrous solenoids etc. 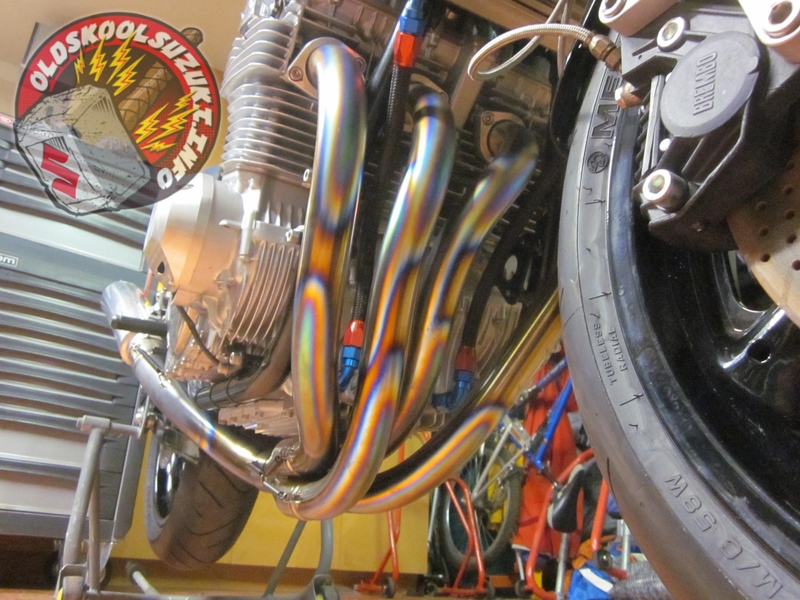 Well, what can we say about tuning GSX1100 engines other than the sky is the limit? Thanks to the immense popularity with drag-racers you can build an entire engine completely from aftermarket stuff. 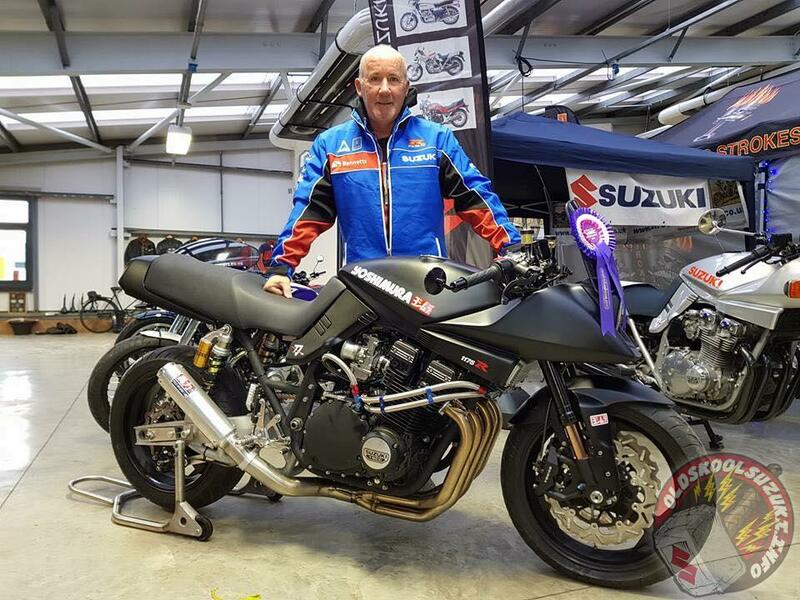 It has to be said that the drag bike guys have been moving more and more towards the GSX-R/Bandit engines purely because the supply of fresh engines is becoming more scarce. 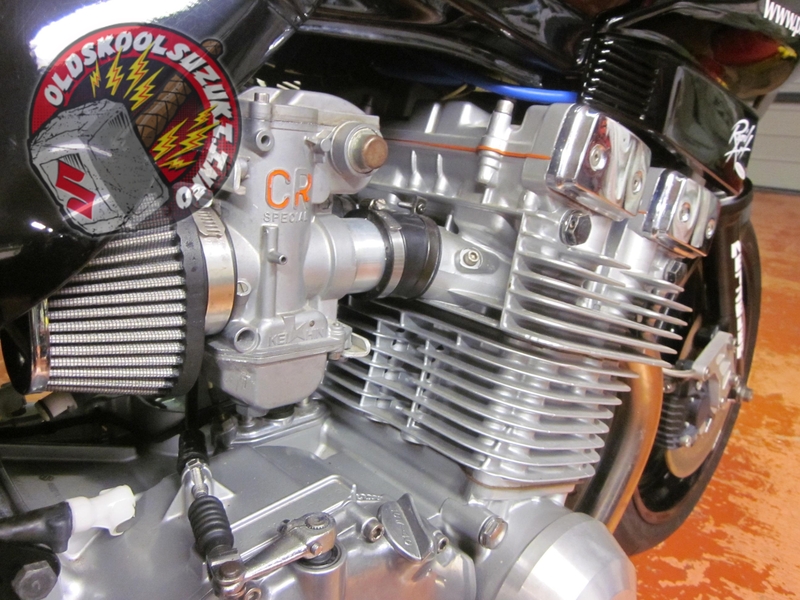 The most popular tuning method for a GSX1100 engine is the big-bore kit in combination with a top-end overhaul including a headflow, hotter cams and maybe bigger valves. A good excuse for taking such action is when the engine starts burning oil after churning away lots of miles. Anyway, you could go on and on about the options and still only cover 50% so I won’t go with that. 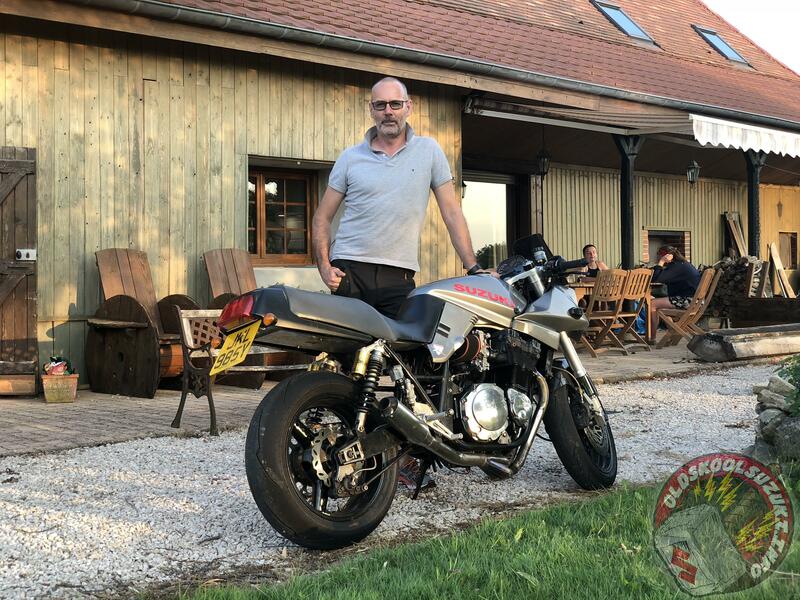 Many people are opting to fit an 1127 (GSX-R) engine, which is a dead shame for people who love the old GSX1100 engine, but a very good alternative if you’re after a low-mileage and reliable power plant. From Suzuki’s point of view a headstock is just two bearings holding a steering stem (won’t argue with that 😉 and so they felt little need to change it’s design and dimensions during the last few decades. That means that about any Suzuki front-end will fit the Katana… you’re free to interchange the front-ends of Bandits, GSX-R’s, Katana’s and GSX’s from about every capacity class, and even a CBR600 front end mixes in. Just remember to swap the whole front end incl. yokes and it’ll be a very straightforward swap. 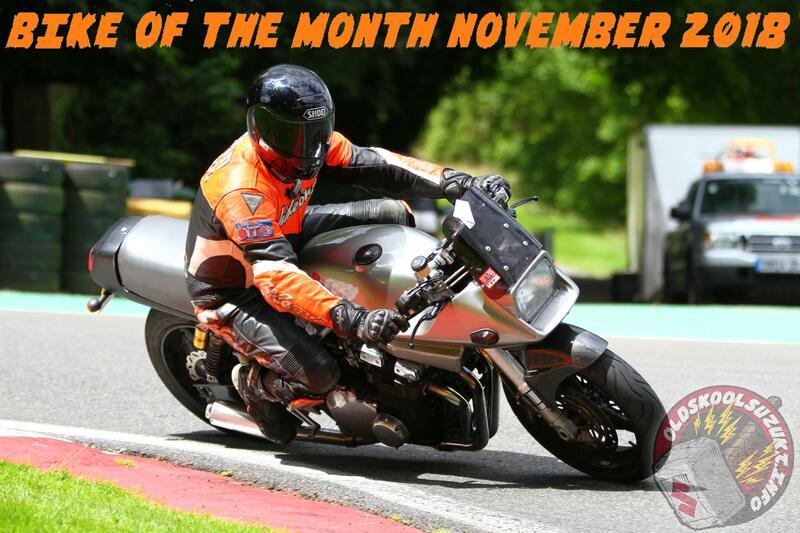 Keep in mind you’ll possibly lose some ground clearance after fitting smaller 17″ wheels and somewhat shorter forks. To get there you need to move the sprocket outwards using an offset sprocket and maybe a spacer or two. People who want to go wider than 180, like dragracers, need to widen the frame at the swingarm pivot and fit an outrigger bearing to the driveshaft (to keep the bending forces in control). The hub will probably also need modification to bring the chainwheel closer to the inside.